Here you will setup the input directory and how ChronoScan manages all the files. Here you can select whether to convert each page on your files to image files or to just extract the images from each page of your pdf files. Image extraction modes available on ChronoScan. 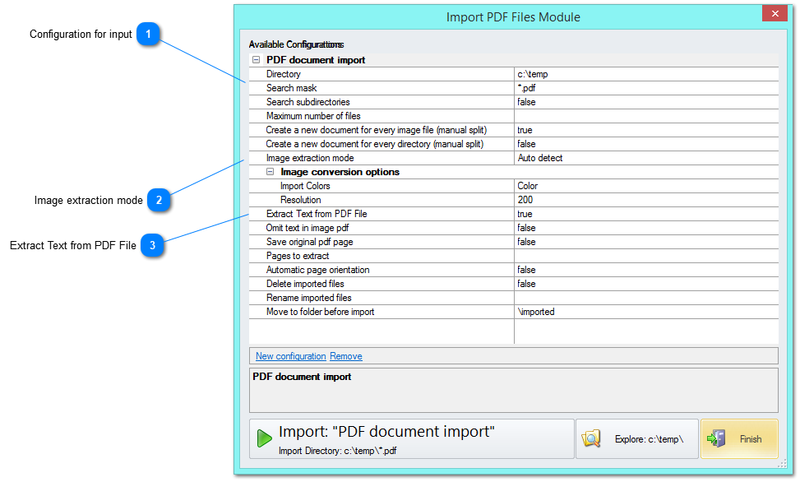 This option allows you to import the PDF Text information from your files to ChronoScan to use it to capture text fields or tables. Using the PDF Text data from PDF files, whenever it is reliable, will return no reading errors from OCR Engines (The confidence level is always 100%).